How can a service accommodate changes to its contract or implementation while allowing the core service logic to evolve independently? The coupling of the core service logic to contracts and implementation resources can inhibit its evolution and negatively impact service consumers. 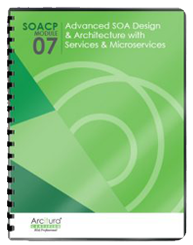 A service façade component is used to abstract a part of the service architecture with negative coupling potential. A separate façade component is incorporated into the service design. The addition of the façade component introduces design effort and performance overhead. 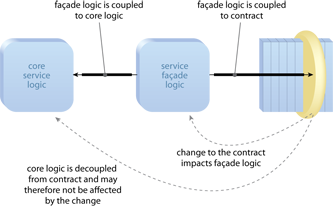 Facade logic is placed in between the contract and the core service logic. This allows the core service logic to remain decoupled from the contract.